One of the biggest airports in Azerbaijan is – the Baku International Airport named after the third president Heydar Aliyev. The airport is well-known with a very convenient location; it is only 25 kilometers from the city. It connected to the city via two modern highways. The airport is the main air gateway for the country. He performs both direct and transit flights as well as domestic flights. From this airport, you can fly to almost all major destinations in the world. It connects the cities of the East and West, North and South. 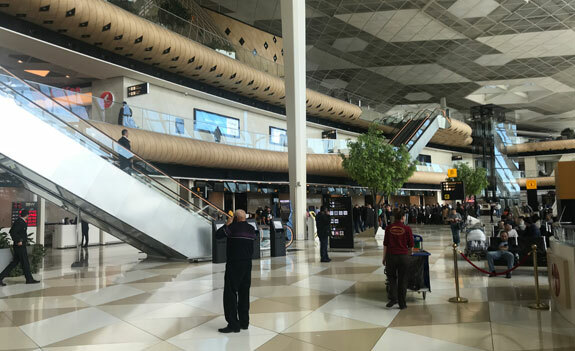 Baku International Airport corresponds to all international standards. The most famous and major airlines are cooperating with the airport and they perform flights in the different directions. The very interesting fact is that, in the territory of the airport you can find duty free shops. Naniko Company offers car rental at the airport named after Heydar Aliyev. The company operates around the clock and it delivers consumer cars of any class and production. It is Possible to rent a car through mobile devices, or by telephone or via the Internet. At the airport you will be met by a representative of the company. He will have your name board; he will deliver the car, without any difficulty. All optional accessories will be available on the spot. Rent a car in Baku Airport has never been so accessible and convenient. We offer to clients low prices and at the same time we are keeping the high quality of services. Let’s start your unforgettable trip to the country on a comfortable and safe car from the company Naniko. The successful visit throughout Azerbaijan with us will be guaranteed.